Conjugation technologies have improved significantly since Wyeth’s Mylotarg approval in 2000, so this forum provided a good opportunity to discuss CMC requirements and regulatory approaches for an evolving class of products. In addition to a provided list of potential discussion topics (as listed in the “Topics” box), plenary presentations by experts from both industry and FDA (listed in the “Speakers” box) provided the framework for the forum. Topics ranged from considerations for characterization, QA, and comparability to content and regulatory review of product submissions. The general conclusion reached about ADCs at this CMC Strategy Forum was that it is best to have dialogue (formal meetings) with health authorities during the development of such products. Whether submitting to the US FDA, Health Canada, the EMA in Europe, Japan’s PMDA, or any other regulatory body, ADC developers are covering new territory. At this stage, product sponsors and regulators are both learning as they go. Because ADCs are composed of both a MAb and a small-molecule cytotoxic drug, regulatory submissions will be reviewed by one or more health authority individuals who have the appropriate expertise to ensure that each aspect of a product is addressed. Potency: In early development of ADCs, both ELISA and cell-based assays are valuable for generating data in assessing both target binding and cytotoxicity (the biological effect). For MAb products, an ELISA is often in place before a cell-based assay is available and is therefore the only potency assay used during early phases of development. For ADCs, however, it is expected that both an ELISA and a cell-based assay will be in place at such an early stage of development. Cell-based assays are important to demonstrate a product’s mechanism of action, which is to bind to an extracellular target, be internalized, and then kill the cell. As discussed during the morning session, it may be possible in some cases to omit the ELISA from routine QC testing late in development (or upon commercialization) based on data demonstrating that the two methods produce similar information about the product. This decision would need agreement by the regulatory authorities. In such cases, the ELISA should continue to play an important role in characterization and comparability studies. Such an assay may be the only functional bridge between an unconjugated MAb and its conjugated form in an ADC. As a 1997 FDA points-to-consider document states, “Immunoreactivity should be assessed before and after conjugation” (1). So an ELISA or suitable alternative (e.g., surface plasmon resonance technology) for assessing binding can provide information about the effect of the conjugation reaction on an antibody. Even if some change is observed, as long as the ADC exhibits consistent binding from batch to batch (monitored during development), its affinity for the antigen may be measured as part of cell-based potency and thus not necessarily require a separate assay. The terms potency and strength have different meanings depending on whether you’re working with large or small molecules. ICH Q6A doesn’t use the term potency for small molecules, but instead lists strength (or assay) as a measure of the amount of an active pharmaceutical ingredient (API); Q6B (for large molecules) uses the term potency as a quantitative measure of biological activity (2,3). An ADC includes both components. So its total function (or potency) would be measured with a cell-based assay that assesses overall structure, antigen binding, drug loading, and drug delivery. In this context, strength applies to the quantity of product (per milliliter for a liquid or per vial for lyophilate). ns each comprised presentations followed by interactive discussion among subject matter experts on the panel and the audience. Morning presenters were joined on a panel by Himanshu Gadgil (Amgen), Claudia Jochheim (CMC consultant), and Sarah Pope-Miksinski (CDER, ONDQA). Session Chair Kathleen Francissen (Genentech) moderated. Afternoon presenters were joined on a panel by Chana Fuchs (CDER, OBP), Rajesh Krishnamurthy (ImmunoGen Inc.), and Anthony Ridgway (Health Canada). This panel was moderated by Jonathan Harris (Genentech). Regulatory agencies have expressed concerns regarding the presence of subvisible particulates (SVPs) in ADCs as well as in other biotherapeutic products. There are as yet no suitable analytical tools for consistently measuring particles with sizes below 10 µm in a release testing environment. To address potential immunogenicity concerns and demonstrate product quality and consistency, sponsors are expected to collect data on the particulate population between 1 and 10 µm. As new particulate characterization assays become available, sponsors will be expected to implement them. Particle characterization is required at the MAb intermediate level as well as the ADC DS/DP levels, with attention paid to any notable difference in size or characteristics between the MAb intermediate and the DS/DP. oduct (6). Some process-related impurities might be omitted from release testing with sufficient data and process experience over multiple ADC lots or multiple ADC products using the same conjugation platform. stical process development tools such as single and multifactorial design of experiment (DoE) matrices. For example, reaction temperature, time, and pH can be studied using a DoE approach. Based on such studies and an assessment of the impact of process conditions on CQAs, it is possible to define critical process parameters (CPPs) and then set appropriate operating limits to yield a reliable manufacturing process. Examples of robust conjugation processes were presented at the forum, showing the reproducibility of resulting average DAR and drug distribution for an ADC product as well as the consistent removal of impurities. Those examples also demonstrated reproducibility of conjugation at multiple process scales. Structural and functional elements of an ADC and all affected intermediates should be characterized for possible changes resulting from a manufacturing process change. Product sponsors are expected to use sensitive and specific separation methods with various sample treatments. Those could include separation based on charge, hydrophobicity/hydrophilicity, polarity, mass, native and denatured sample treatment, reduced and nonreduced sample treatment, and pre- and postconjugation sample analysis. Regulators expect late-phase comparability studies to include selected side-by-side analyses of prechange and postchange lots. As mentioned, archived retains of all ADC batches and intermediate components produced during development, stored at –80 °C or as appropriate for long-term stability, provide valuable material to use in comparability testing. Selected forced degradation of previous and current process lots should also be included to confirm comparability. If such a comparison shows differences in degradation profiles among those lots, it will be important to demonstrate that the new batches yield degradants that are comparable to those observed for the original process, providing a link back to the product used in earlier clinical studies. Another approach to evaluating old and new lots could be the use of aged (rather than new) MAb in the conjugation reaction. The results could show that aging the MAb does not negatively affect the quality of the ADC. Designation of Materials: Gemtuzumab ozogamicin for injection (Mylotarg), the first and at the time of our forum the only approved ADC, has recently come off the market. Its NDA was submitted by Wyeth (now Pfizer) including data on the linker, which was identified as an active component in the mechanism of action. Since then, Pfizer has had success in jurisdictions outside the United States with designating the linker instead of drug substance as its starting material. That designation does entail certain data requirements, but they are less onerous than a drug-substance designation, which facilitates making postapproval changes. Starting materials are discussed in ICH Q7 and in the draft of ICH Q11 (8,9). For an ADC, key points to consider regarding designation of material include quality control for the starting material and the impurity profile’s potential effects on the ADC DS. Terminology can be both important and misunderstood. Due to differences in US regulations for drugs and biologics, the same terms may mean something different to small-molecule experts and antibody experts. We recommend that sponsors discuss with regulators what is intended by such terminology (e.g., raw materials, starting materials, intermediates, and components). These terms could ultimately determine the requirements for an ADC’s control strategies. In the United States, inspection logistics for ADC products are still evolving with regard to which FDA group(s) will send experts to the manufacturing sites for preapproval inspections. Many internal organizational changes have occurred at the agency since the first ADC was approved 11 years ago, and so far no other such product has reached the inspection phase. Although the offices of regulatory affairs and the commissioner (ORA and OC) were not represented at this forum, other FDA staff members expected that the team-based approach will always be the best for ADC inspections. Two ADC products have since been reviewed as BLAs, so the BMT/DMPQ (Biotechnology Manufacturing Team from the Division of Manufacturing and Product Quality), which takes the lead for inspections of biologics, will also take the lead for inspections of ADCs reviewed as BLAs. Jon Harris is a regulatory advisor of pharma technical regulatory, Fred Jacobson is a senior scientist in protein analytical chemistry, and corresponding author Kathleen Francissen is director of pharma technical regulatory at Genentech, a member of the Roche Group, 1 DNA Way, South San Francisco, CA 94080; 1-650-225-1000, fax 1-650-225-6000. Claudia Jochheim is principal consultant at CMC Consulting; Godfrey Amphlett is executive director of process and product development for Immunogen, Inc.; and Lorna McLeod is a contributing editor to BioProcess International. 1.) CBER 1997.Points to Consider in the Manufacture and Testing of Monoclonal Antibody Products for Human Use, US FDA, Rockville. 2.) ICH Q6A. 2000. Specifications: Test Procedures and Acceptance Criteria for New Drug Substances and New Drug Products: Chemical Substances. US Fed. Reg. 65:83041-83063. 3.) ICH Q6B. 1999. Specifications: Test Procedures and Acceptance Criteria for Biotechnological/Biological Products. US Fed. Reg. 64:2673344928. 4.) ICH Q3A(R2). 2008. Impurities in Drug Substances. US Fed. Reg.. 5.) ICH Q3C(R5). 1997. Impurities: Guideline for Residual Solvents. US Fed. Reg. 62:67377. 6.) ICH Q3B(R2). 2003. Impurities in New Drug Products. US Fed. Reg. 68:64628-64629. 7.) ICHQ8(R2). 2009. Pharmaceutical Development. US Fed. Reg.. 8.) ICH Q7. 2001. Good Manufacturing Practice Guide for Active Pharmaceutical Ingredients. US Fed. Reg. 66:49028-49029. 9.) ICH Q11 Concept Paper. 2008.Development and Manufacture of Drug Substances, International Conference on Harmonisation of Technical Requirements for the Registration of Pharmaceuticals for Human Use, Geneva. 10.) EMEA/CHMP/BWP/157653/2007. 2008.Guideline on Development, Production, Characterisation, and Specifications for Monoclonal Antibodies and Related Products, Committee for Medicinal Products for Human Use, London. 11.) ICH Q5E. 2005. Comparability of Biotechnological/Biological Products Subject to Changes in Their Manufacturing Process. US Fed. Reg. 70:37861-37862.
d Products. US Fed. Reg. 68:65717-65718. 13.) Q5C. 1996. 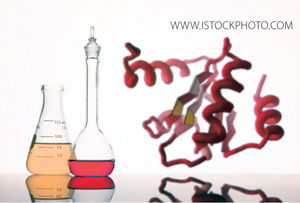 Stability Testing of Biotechnological/Biological Products. US Fed. Reg. 61:36466.